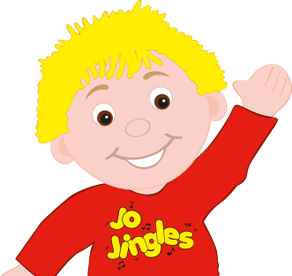 Welcome to Jo Jingles classes in Sutton Coldfield, Walmley, Four Oaks, Streetly, Boldmere, Shenstone, Great Barr and Pelsall. I have just taken on the Jo Jingles Sutton Coldfield franchise as of January 2018. I am so excited about my new adventure and I cannot wait to meet you all and your lovely little ones. I was previously a Head of PE in a Secondary school so this is a very different career path for me but I am super excited about my new job. I have been an avid 'Jingler' since taking my little boy Noah, now 4, when he was just 3 months old. We have always LOVED the sessions and we still attend the pre-school sessions now. My little girl, Martha, has just turned 1 and she also loves attending her sessions with Jo. Please come and join myself, Emily, Claire and Naomi and have fun with Jo - you will not regret it! We really look forward to meeting you soon. I have been bringing my little girl to Jo Jingles since she was about 8 weeks old. She’s now 4 months, and the classes have really helped her develop, with touch and sound. She really enjoys the classes and it’s also a great excuse for myself to get out and meet new mums! The staff are very friendly, would definitely recommend! Fantastic and engaging class for little ones. My son absolutely adores going to Jo Jingles every week, he even loves tidying up to the tidy away song! The themes are varied and little ones get to play lots of different instruments. Would highly recommend to anyone looking for a weekly activity to do with little ones. Xander loves going to Jo Jingles on Wednesdays. He has been going since he was 3 weeks old and enjoys it more and more each week. Its lovely to see how the classes are helping to build his social and interactive skills. He loves the sensory play, especially the lights and bubbles! The songs are fantastic and always get a giggle out of Xander when I sing them at home. Definitely recommend for babies of all ages. My daughter Roxy started Jo Jingles at 6 weeks old and is now 6 months. It has been brilliant to see her progression and development through the weeks, with the help of the songs, movements and sensory aspects. It is always a great start to the week for her to interact with other children and for myself to meet with friends. Naomi is a lovely teacher who brings fun and enthusiasm to the group, in a calming way that suits all the whole class. I look forward to bringing Roxy to many more classes in the future. 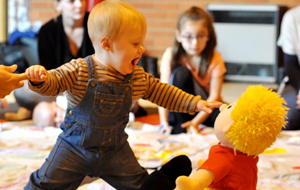 A superb baby and toddler class! I have been bringing my almost 2 year old since she was 2 weeks old and she absolutely loves it, the classes have really helped her gain confidence, interact with other children and follow instructions whilst having an absolute blast singing, dancing and playing instruments! I have also been bringing my 9 month old along with us since she was born and she is always engaged and happy! There’s never a dull moment and it’s fun for adults too! Today we had a Jo Jingles birthday party for my 1 year old, Flora. With the snow, numbers were a little lower than expected but the commitment of Donna was wonderful. She was determined to be there for flora’s party, and she did such a great job of hosting. All the babies (and adults!) had a great time and we enjoyed some of our favourite songs from when we went to JJ (before I returned to work...) the communication beforehand was great, too, and Donna was quick to answer all my questions and offer support. Thank you so much for a lovely party! I have been taking my son, Matthew, now 2.5 years to Jo Jingles classes since he was around 6 months old as they were recommended to me by my sister who had previously taken my niece. As soon as we started attending, Matthew built up a great relationship with the teacher and looked forward to seeing Jo each week! As he grew older, he started to ask to go and it began to be his favourite thing to do, his face lit up when I told him we were going! 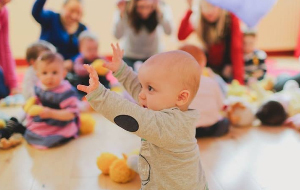 The classes are interactive, fun and very varied with lots of songs, singing and dancing and all the children love to get involved. We, as parents, have also built up friendships within the group. As Matthew has got older we have moved to the classes more tailored to his age group and he has grown to love it more and more. 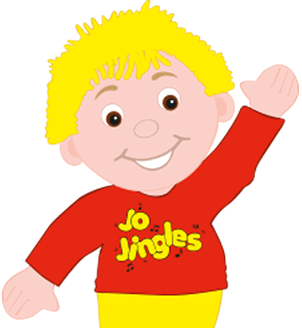 I firmly believe that the Jo Jingles classes have improved his confidence, speech, communication and listening skills. We bought Matthew the Jo Jingles CD so that we could sing along to the songs in the car and the DVD so we could do the singing and dancing together at home. 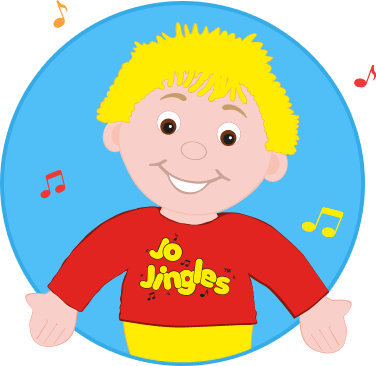 We have also been to Jo Jingles parties which have always proved to be popular with children and the children who attend classes love to see Jo in their own homes! Seeing how much enjoyment he has got out of attending the classes and the ways in which they have helped him to develop, I would definitely recommend them to parents with children.